Can India become the next big start-up nation? India, with a history of rich cultural, educational, political and social heritage spanning 500 decades, hasn’t yet been able to establish its foothold in the international scenario. Leave that, it has not yet become a developed country despite having an opulent background. There was an era when India was referred to as a “golden bird” or in Hindi parlance ‘sone ki chidhiya’. She was endowed with a plethora of natural resources, wealth and talent. But as time passed by, with series of invasions by foreign rulers, hypocrisy and incessant plundering of wealth by the British, India was reduced from riches to rags. According to the GDP data estimates by Paul Bairoch, a Belgian economic historian, in his report in 1982 mentioned that India contributed to a quarter of world’s GDP in 1750 which got reduced to 20% in 1800 and later fell to a meagre 3% in 1880. India achieved independence after British left her penniless making it difficult for her survival in the volatile era of wars. Nothing much developed post-British era except having an Indian at the helm of the central government and, of course, freedom. The country, with its abysmal experience with the British, controlled the economic system and imposed restrictions on the market leaving very little space for it to alleviate itself from its position of a ‘pauper’ country. With ‘socialism’ as one of the flagship workings of the constitution, there was less scope for the country to become ‘globalised’. During 1950-80s, the economic growth was stagnated at 3.5%. This period was infamously known as ‘Hindu Rate of Growth’ by the economists. With a snail’s speed it progressed to get the tag of a developing country post 1991 economic reforms during the P.V. Narasimha Rao regime when his government rolled out business friendly policies on a large scale marking an epoch to India’s ‘globalisation story’. Yet some of its autarkic economic policies served as an impediment to the country’s progress. Although the 1991 economic reforms did bring a substantial change which included abolition of the draconian ‘Licence Raj’ and opening up of markets, but some of the reforms were still untouched. The new government at the centre post general elections vowed to address the economic woes which have been axiomatic in the form of 5.7% growth rate in April-June quarter which is the highest in the last nine quarters. Reforms in insurance, banking and coal sector, scrapping of the soviet era Planning Commission, streamlining of bureaucracy so as to cut the red tape are some of the steps taken to expedite economic reforms. This certainly shows the commitment of the incumbent government but some analysts say, this is not enough. This can be corroborated by the fact that in a recent report by the World Bank, India was ranked at 142nd out of 189 countries in the category of “Ease of doing business”. The ranking fell down two places from 140th in the preceding year. Country like Pakistan is placed at 128th. The point of deliberation is why is it placed so low? Firstly, starting a business in India takes an average of 27 days. About 85% of the interested investors feel the process of incorporation is cumbersome and unreasonable which makes them apprehensive on investing. Although the ‘ebiz’ website launched by the government aims to reduce the complications but it does not live up to its purpose. The time required for approval is long and does not facilitate for simultaneous approvals of power, water and sewerage and other 200 permissions! Therefore, there is a need to put in place an online approval system so that the budding entrepreneurs don’t have to run from pillar to post for different permissions. Secondly, the investors feel there is a lack of an effective land acquisition process. It takes an average of 14 months to acquire a land or even longer dependent on obstacles posed. A survey found, 69% of the investors feel the land acquisition process is slow and uncertain. Therefore, there is a need to fast track the acquisition process via Single Window Clearance (SWC). The litigation period involved in a disputed land may take years. Hence, special courts are required to be established to expedite such matters so that it does not stall projects and job opportunities. The government, however, has addressed this problem and issued an ordinance to simplify the process and make it more buyer-friendly despite of ruckus in Parliament. Only time will tell how effective this change has been. The government is also in the process of addressing the taxation system where 90% of the investors feel is exorbitantly high and call for reduction of the same. Implementation of Goods and Services Tax (GST) would have brought uniformity in tax collection system as different states have different taxation systems. This would have helped reduce the number of taxes and club all into one. But the parliament imbroglio did not bring this bill into a reality. Also to mention, India is notoriously known for its lackadaisical attitude in contract enforcement and protection of intellectual property rights. In the same survey, India was placed last. This is another parameter where the government needs to put its focus on or it may lose a huge chunk of potential investments especially from the pharmaceutical sector. The recent GSK Pharmaceutical ruling in July 2013 where the company lost its patent claim on a breast cancer drug named ‘Tykerb’, has gained India a bad name and prejudiced investors from investing in the country. The above four are one of the most important parameters where the government has to put its focus on as these have always been controversial and ambiguous and hinder growth and entrepreneurship. But this is not possible without the help of the state governments. Those days are gone when it was only central government’s duty to generate income and grow the economy and the states would just spend the largesse given to them on subsidies and welfare programs. The states have to understand their responsibility and take pro-active steps in stepping up investments and encouraging entrepreneurs. But, simply organising business summits won’t do the work. After all, when the factors for starting a business itself are not conducive, which investor will dare to pour in his money? All this are nothing but sham and humbug. They have to introspect upon the above factors which affect investment and entrepreneurship. But this is not possible without political will and the determination to play a constructive role in economic development of the masses. As quoted by PM Narendra Modi in a recent ‘Make in India’ workshop, “the government should shun the ‘ABCD’ culture (A for Avoid, B for Bypass, C for Confuse and D for Delay) and move towards ROAD (R for responsibility, O for Ownership, A for Accountability and D for Discipline) for growth”. However, there are states who have understood this very well. Gujarat has its own world class Centre of Excellence in Entrepreneurship Technology with an advisory council headed by Narayana Murthy, the co-founder of Infosys. The government of Karnataka has plans to make the state the ‘start-up capital’ of the world by drafting Start-up Act in coming months to foster entrepreneurship by setting up two new venture funds and a network of incubators in small cities. Also, Kerala, a few months ago, planned to invest 1% of the state’s budget, approximately Rs. 500 crores, in start-ups which are at nascent stage. The government also set up an entrepreneurship development institute to nurture the budding entrepreneurs. Likewise, states like Maharashtra, Tamil Nadu, Andhra Pradesh have followed the suit. It’s high time other states took the baton for a pro-development, pro-reform, pro-entrepreneur change. The people of India are known for their entrepreneurial zeal and that includes women. But there is a stereotypical and orthodox approach that women cannot match up to men and should limit their activities to household chores. Well, if they can manage household, bring up children and work 365 days a year, so can they become a successful entrepreneur. After all, entrepreneurship is all about determination, passion and doing substantial. In a recent study on women entrepreneurship, in Gender-GEDI Index for 2014 conducted by Washington based Global Entrepreneurship Development of India, India ranked at 26 out of 30 countries surveyed that foster women entrepreneurship. This shows a dismal picture for India. To promote women entrepreneurship, the government, both state and central, should come out with programs like offering collateral-free loans with low interest. This will enable financially insecure women with bright ideas to secure loans and proceed with their venture. The central government run Bharatiya Mahila Bank has already rolled out such schemes to provide collateral free loans up to Rs. 1 crore to facilitate entrepreneurship among women. Also, the governments should step into the shoes of an angel investor for the bright start-ups by women. This will provide them with more funds for product development and growth. To encourage entrepreneurship pan India, the government should establish an entrepreneurial commission which would consist of prominent economists, industrialists, bankers and bureaucrats and formulate plans to promote and help the budding entrepreneurs of India to implement their idea into a reality by infusing capital required to start a venture. This would boost up morale and instil confidence in the investor that government is serious and not just limited to promises. This will create jobs which would as a consequence, increase the country’s GDP and per capita. There is a need for proper bankruptcy laws in India. There is a possibility where the venture started turns out to be a failure. But closing a business in India is as difficult as starting one. Hence, the entrepreneur can feel the heat from both sides and cannot easily exit from the venture even if it is a failure. India’s bankruptcy law is governed by the Provincial Insolvency Act enacted in 1920 which is now obsolete and calls for a fresh law. Better late than never, the government has shown the interest to carry out the overhaul where the bankruptcy framework is conducive for industries especially in the SME sector. But this is at a nascent stage. Another probable reason for our laggardness is “brain-drain”. The brightest of minds graduating from the premier institutions of India and abroad prefer to start their entrepreneurial venture in the Silicon Valley or Silicon Fen rather doing the same here. Why is it so? This is because India is not a conducive place for a start up as evident by its “Ease of Doing Business” ranking. Well, that is obvious. Which entrepreneur would run from pillar to post and seek 200 permissions to establish his venture? Some of these bright graduates prefer pursuing their academic career outside India instead of doing it here. These bright teachers impart their pedagogy outside depriving India of out of the box unique teachers who can inculcate in students the idea and spirit of entrepreneurship. The government should take note of this and find out the reasons why such teachers prefer teaching outside and not in the country. This probably has to do with teaching conditions and poor pay. There is an adage, “When there is a will, there is a way”. But what if there is no will at all? There have been many commissions, committees appointed to address economic fissures but the recommendations of most of them have never been implemented. This won’t be possible if the effete, feckless, incompetent and ‘paralytic’ politicians are replaced with dynamic, sturdy and progressive rationalists with the sole aim to alleviate poverty and create jobs and govern the country with a mix of both capitalist and socialist ideologies. Japan was almost exterminated after the nuclear bombings in Hiroshima and Nagasaki. But it resurged. How? Willpower combined with perseverance to strive and become the best sailed it through to become the world’s third largest economy despite it being smaller in area. Ours is a great country with immense potential. But that won’t be of any use if potential and resources are not used in a smart and productive way. The budding entrepreneurs don’t need to be melancholic because the best is yet to come. The transition of the ‘modern India’ is in a latent stage and the day is not far, when our country will become the start-up nation of the world! www.ebiz.gov.in,; Launched on 28th January 2013. Fresenius Kabi Oncology Ltd. vs. Glaxo Group Ltd, Great Britain and Anr. 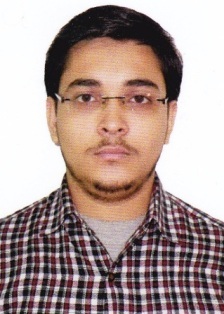 Prasahnt is a law student at Damodaram Sanjivayya National Law University, Visakhapatnam. He is person of critique nature and have a deep proclivity towards matters related to governance and public policy. His hobbies include editorial reading, social service, gardening and reading books. The published article from Prashant appears to have covered entire gamut of things that severely plague our country. I appear to agree with Prashant that the rot can be removed only when there are “Consistent Will” coupled with strong determinations to make the climate conducive for investment and of course, there should be also be political will to address the core issues. Speaking on loudspeakers about ‘Make in India’, in my opinion, can be far cry from becoming reality unless those who matters formulate conducive climate to invite investors who gets attracted ordinarily by the abundance of skills, infrastructure, political stability, conducive climate (absence of militant unionism) and most important – to have a positive mind set to deliver products of international standards. I congratulate Prashant for his article and a very goo work done. Congrats to the young budding auther for a well researched and logically convincing article on state of the Indian economy and way forward. Capturing the gist’s of 5000 years on a mundane topic in a lucid manner, drives the readers to grasp the issues very easily and agrees to the concluding remarks of the writer. However, let’s not forget that a country is made of people and attitude of the people matters in every sphere of the nation building. Hence, there is need for a dynamic, sturdy, progressive rationalistic attitude among all the citizens at every levels in every actions at every moment, which requires irrevocable commitment from every person. Excellent piece, intricately stitches up various discussions about the Great Indian Problem and presents it in a very simplified and cohesive manner. India will rise again in true sense; the world will look at us in awe again. But we need to get our acts in place and have the right intention.